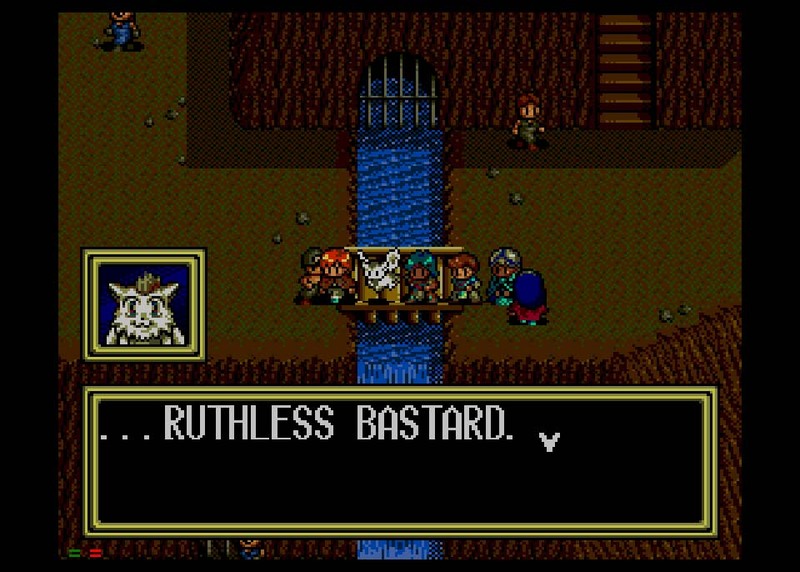 With how much love this series gets when people decide to discuss old school RPGs, I'm surprised nobody has made a hacked version of this game to address things like the ALL CAPS and possibly add more face pictures with different emotions conveyed to add gravity to the text. I like the ALL CAPS, actually. But I wouldn't mind some of the typos being fixed. What I've really, really wanted to do is a fan hack of EB, actually. First mission: to make the treasure chest contents and placement make sense. Lemina's best two crossbows should not be in the same dungeon one floor apart. I'd also like to see some corrections in both games. I'm not referring to localization choices, but to errors like TSS saying Mel was the founder of Meribia rather than its governor, and that Ramus left Burg with a girl named Fulari rather than with haste. Though in truth there are several places where some perfectly serviceable dialogue was changed to put in a now-dated pop ref, and I think it'd be totally reasonable to change those back now that it's been 20 years. What would you put in their place to keep the humor in the game? The making of video mentioned that the jokes in Japanese wouldn't translate well at all for Americans. English: Vane Library book is on killing Barney. Japanese: Vane Library book is about the first Dragonmaster, Dragonmaster Louie, and his first steps on Lunar. Book: "History of Dragonmasters | Together with the Goddess Althena, the first Dragonmaster came to this land from the Blue Star, Dragonmaster Louie. His first step is still left somewhere on this land..."
Ruby: "Whoa... We should go look for that one day, Hiro. I'd like to see it..."
EB set kind of a high-water mark for misc pop refs, which have a really limited shelf life. In the example above, my personal opinion is that the material that was removed for it is more interesting than the Barney ref is funny. Mind, I'm not saying that all things like that need to be removed; I'm not that kind of purist. English: Vane Library book theorizes the lights in the sky are visitors from the Blue Star. Japanese: Vane Library book theorizes about a Blue Star-Flying Saucer link. Book: "The Secret of the Blue Star!? | I know it! On the Blue Star are takeoff points for mysterious flying saucers! And, could that be where they are looking down on us!? More in the next issue!!!" It's really worth reading those pages, by the way. I feel like they left the Dragonmaster Louie thing in for EBC. I'm with you on that being a good change. Replacing a joke that wouldn't make sense to us is the obviously right decision but it should also be obvious to not replace Lunar lore with jokes. I agree, though. I love a lot of the pop culture references I've found in the games because I catch them. I'm sure many cringed when they met the Austin Powers guy in the Cave of Trial, but I loved it. If I didn't, I don't know if I would shrug and move on or if it would irk me. The Austin Powers ones didn't bother me...and you know which ones I actually enjoy? The assorted "Welcome to the Jungle" parody lyrics, which are in multiple games. As for what I don't like, this probably takes the cake: EB contains at least 3 references to the Bobbitt domestic assault case. Tastelessness aside, how well do people even remember that trial now? As to hackability, I remember reading somewhere -- maybe in manual translation notes? -- that EB didn't have to be in all caps, but WD stuck with that format for visual continuity with TSS. If you're familiar with the techniques, that'd probably be an easy change to make. Huh, I don't remember that -- but I probably haven't read the EB manual since 1999 when I got the game. Probably the last copy WD sold directly. I'll have to dig it out and transcribe it sometime. I don't mind the quotations from things I may or may not get. It's more when names start showing up that things stick out to me, like Lemina talking about selling things to Mr. E. Bay in EBC, or the girl in Saith referring to Luna as the Shannen Doherty type. Though the Mauri doll with Kung Fu grip does amuse me. Shiva Indis wrote: The Austin Powers ones didn't bother me...and you know which ones I actually enjoy? The assorted "Welcome to the Jungle" parody lyrics, which are in multiple games. As for what I don't like, this probably takes the cake: EB contains at least 3 references to the Bobbitt domestic assault case. Tastelessness aside, how well do people even remember that trial now? That's not the kind of hacking this thread is about. and it involved the cutting off of someone's pecker. That kind of thing sticks in a man's mind. Not many things can be seen as worse to have happen. Alunissage wrote: I like the ALL CAPS, actually. But I wouldn't mind some of the typos being fixed. Most of all, making Jean's Raging Iron Fist weapon from the ancient tower in the epilogue equipable. There is this hysterical playthrough of MCD EB where the player spends about five perplexed minutes trying to equip it on somebody, anybody, all without dialogue like an old silent movie pantomime. I'd love to see a fan hack of TSS that had...magic point costs in-game. Friends and I actually did the math for every single spell in that stupid game, subtracting after/before MP totals to make our own list. Not that it's possible to lose the game post Red Dragon Cave given how easy it gets, so who needs it, but still. 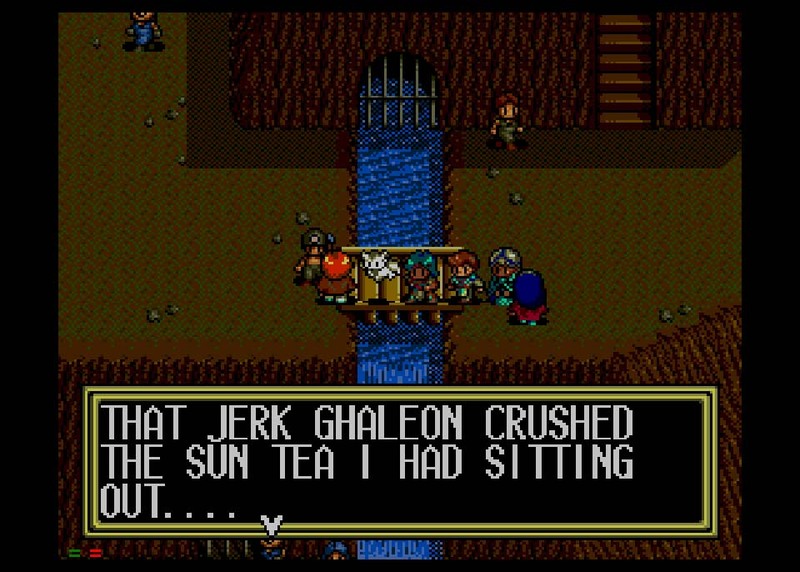 Best weird changed line in the American version that I recall: that guy in Talon Mine who is really put out that the Mechanical Castle steamrolled his tea leaf garden. "Ghaleon is a truly evil man," or something like that. And somehow, I still think the ABBA references are really funny. Yes, fixing the Flame Fist is definitely on my mental list of Things To Do To EB. And I think you're thinking of this? Yes, yesss! That is so excellent. I recall another championship-level American rewrite in Althena's shrine with this really paranoid guy whose insanity progressed throughout the game and whose dialogue tree was like eight lines long. He might've been the "game over" guy, but I'm not sure. Back on topic! My hacked TSS would also remember that the Magic Emperor should actually know how to use, ah, magic, rather than just karate chopping you for the entirety of the first fight. MCD Eternal Blue-style exploding bosses (in all remakes, for that matter) would also make me really happy. More difficult for the hack would be brightening TSS' ugly brown town color palette that never matched Kubooka's art or the subsequent games in the series. Not that I mind the darker thematic turn of the game, particular when Burg is attacked, but I could barely tell I was in the Frontier because the colors were already so dismal. Dunno, I never thought of the game as all that drab while playing it. I've been struck with how dark the interiors of some places look in screenshots, though. Maybe the TV I played it on the most was just set kinda bright. I always found the Frontier overworld to look sufficiently desolate, with the pits of acid and lack of trees. Temzin wrote: Yes, yesss! That is so excellent. I recall another championship-level American rewrite in Althena's shrine with this really paranoid guy whose insanity progressed throughout the game and whose dialogue tree was like eight lines long. He might've been the "game over" guy, but I'm not sure. Well the art style changed between TSS and SSSC. The latter seemed to have influence from Evangelion and the former is more like late 80's anime sort of style. I noticed a difference but I do agree that it should be altered a bit in that regard. Leo wrote: Well the art style changed between TSS and SSSC. The latter seemed to have influence from Evangelion and the former is more like late 80's anime sort of style. I noticed a difference but I do agree that it should be altered a bit in that regard. Ah, but SSS came out barely half a year after Evangelion, and was basically just bringing the in-game art in line with EB (created long before Eva), which was a truer representation of Kubooka's actual designs than TSS. TSS artwork isn't appreciably different from EB, after all (http://lunar-net.com/tss/artwork/promo-tss1.jpg). It's really more of a technological issue. TSS came out early in MCD's life and had sort of a grungy, brown/orange color palette and in-game character portraits that couldn't really express Kubooka's art, whereas by a few years later in EB they had perfected it so that the match is perfect, with vibrant, bright colors. Sort of like the way the character portraits in FF IV were these sad, clunky things, whereas by FF VI the menu screen had straight digitizations of Amano's designs. Which is a long way of saying that TSS's graphics may be a very low-fidelity rendition of Kubooka's art, and while there's not much to do about that, better coloring and higher contrast in the in-game graphics would be nice. I have a theory that the influence of Ayano Koshiro contributes to the different look of TSS. She is a graphics designer who worked for the likes of Falcom and Quintet back in the day, and she is credited in two Lunar games, TSS and Walking School. She did monster graphics for WS, but precisely what aspect of TSS she worked on is uncertain. Which is why it's just my theory...but doesn't TSS have a bit of an old-school Falcom look? 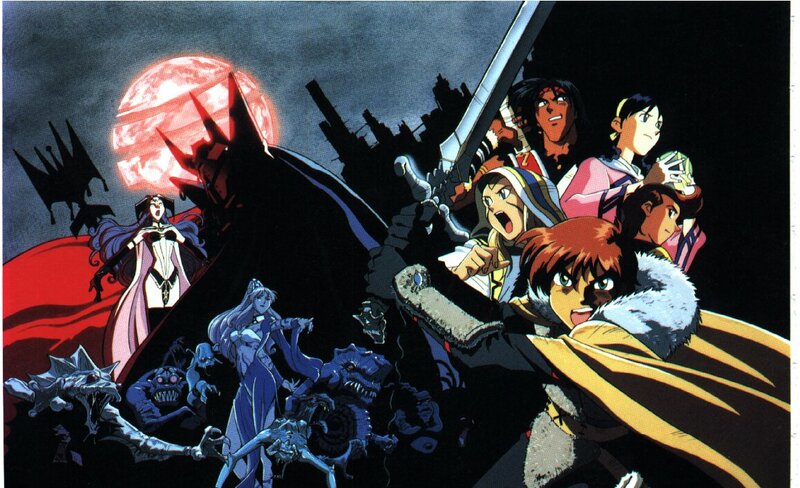 But seriously, more than a Nihon Falcom look, I'd say that TSS' cinemas don't quite match Kubooka's designs and do have a certain style we would associate with a "typical anime cinema-filled PC Engine game" or late 1980s/early 1990s anime, both of which styles are closely tied together. This may have been because of how influential the PCE style was, including for Ayano, especially since TSS was one of the first games of its kind on the newer Mega CD system. Less charitably put, the graphic designers were still finding their footing and took cues from what had gone before them on PCE. More charitably put, the slightly off-model cinemas may be a reflection of how TSS was a passionate if less refined project than later entries, with so much energy and and disparate people coming together in a short time. The game has an insane electricity to it, even if EB and SSS have worlds and cinemas that better realize Kubooka's visual plan. ...so while a hack wouldn't change the cinemas, it could at least give Arhes the proper hair color, brighten up the un-Kubooka browns and oranges on the towns, and de-purplify Mia's hair, come to think of it. Me neither. As dated a reference as it is nowadays (those movies did not age well), I think it still works OK because it isn't an explicit reference. Even if you haven't seen Austin Powers it can still work as just some goofy sounding guy. Goldmember isn't as good but the first two Austin Powers movies are hilarious. Wow. You're right, TSS could have easily worked on PCE. The series might even have a higher profile today if it was released on that system. Lunar 2 probably would have been very different, though. How many of us old-timers would have been able to play Lunar in the 90s if it was made for PC Engine? Even supposing it was released in the US? I bought a Sega CD specifically for this series and that seemed very exotic to me at the time. TG-16 though? That was beyond exotic. So exotic that I only recently started to make sense of it.